It's just showing off its battle scars now. 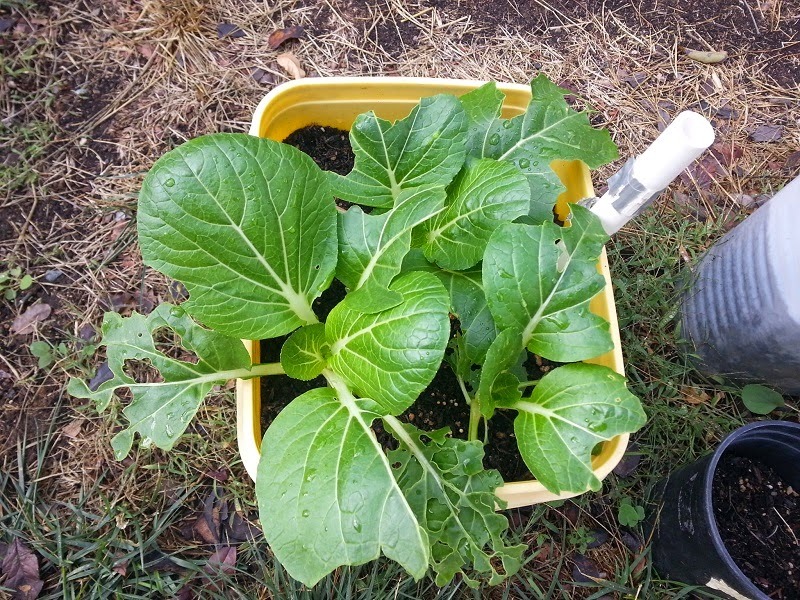 After weeks of fighting caterpillars, the bok choy has won and can now grow in peace. I can't wait until it's fully grown so I can eat it. 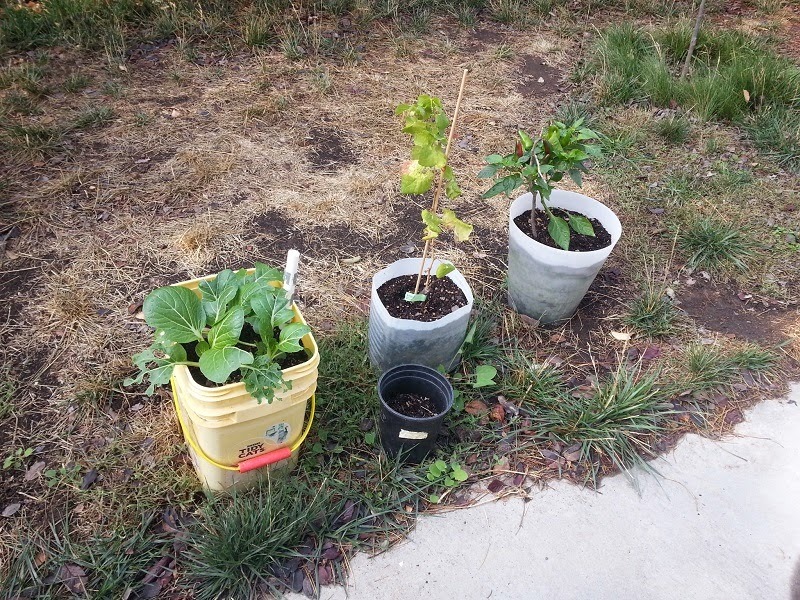 The temperatures are forecast to drop below 40 at night pretty soon, so I don't know how well my Fresno plant will handle it. It's started to show some new growth and flower buds though. 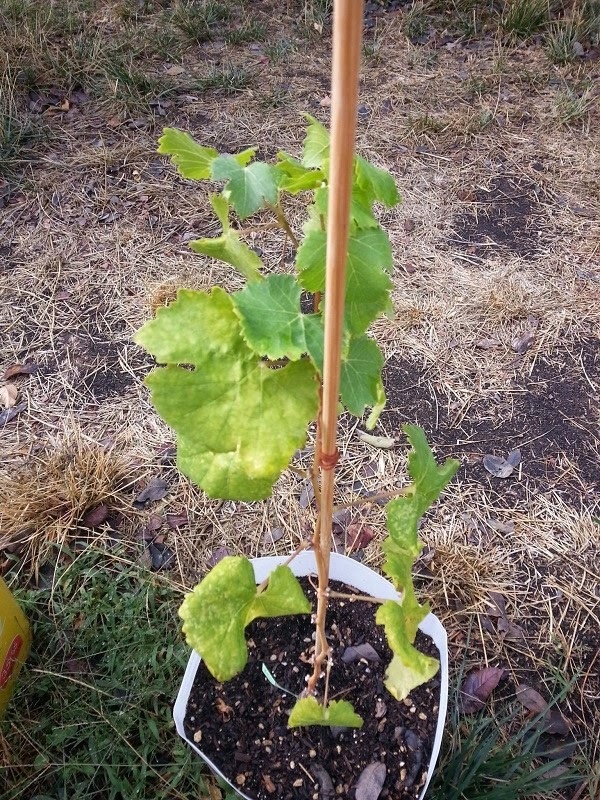 Like the other grapevines in the area, mine is starting to lose vigor. It's nearly time for it to go dormant. 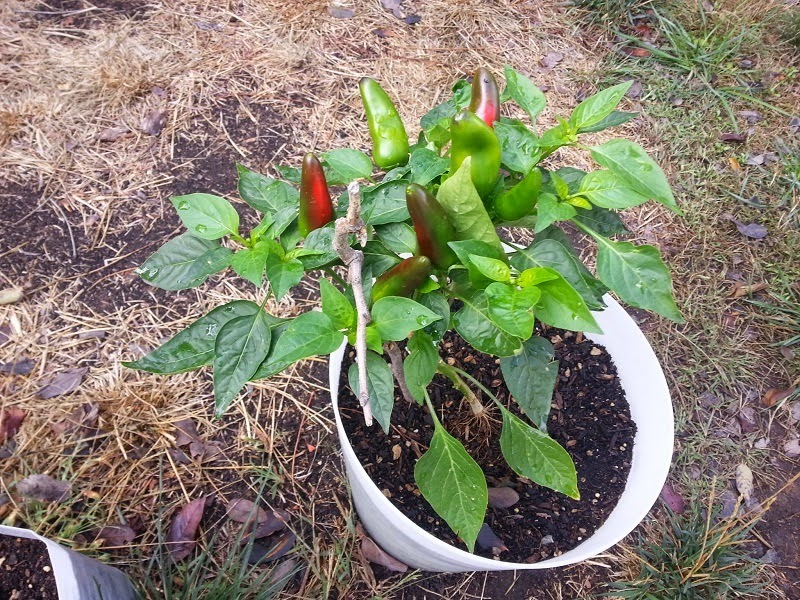 I mentioned last time about a new potential plant growing in my 1 gallon container. Unfortunately, it got attacked by something in the night and didn't survive. Whatever attacked it must have been big enough to move that pot, but small enough to leave my other plants alone. I might retire the 1 gallon container if I don't find a more appropriate place to put it.